Tempest Theatre & Film Society is a new creative arts organization, registered in January, 2018 by Kate Twa, Ronan Reinart, and Andrea Agur. It comes on the heels of its founders’ long creative histories, and reflects their appreciation of the South Okanagan as both inspirational source and creative destination. It’s aim is to encourage and develop artistic outlets focusing on theatrical and motion picture media. Kate and Ronan, with John Cassini, co-founded Vancouver’s prestigious Railtown Actors Studio, where Kate remains a Founding Director. Kate began her professional acting career at 17 playing Estella in The Citadel Theater’s production of Great Expectations. Shortly after, she travelled overseas to study in London with the British Theatre Association. Training in the classics by day left her evenings open to explore some of London’s newest playwrights and explosive productions. By 18 she was developing a taste for the raw, insightful and provocative work she is known for today. Selected stage performances include Birdbath by Leonard Melfi, No Exit by Jean-Paul Sartre, Miss Julie by August Strindberg and The Sweetest Swing in Baseball by Diana Son. Kate has acted extensively in film and television (X-Files, Outer Limits, Killer App, DaVinci’s Inquest, and Dead Zone). Kate has directed over two dozen stage plays and written and directed three which have been produced across Canada. 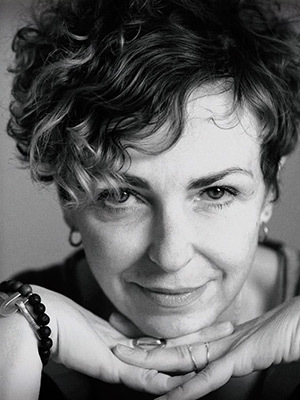 She has taught thousands of students in the Craft of Acting and is Co-Artistic Director of Railtown Actors Studio where she continues to generate her creative tenacity and fearless exploration of challenging material. Whether on stage or on film, developing and directing new material has always been her driving passion. In 2011 Kate wrote and directed Gods of Youth, a harrowing exploration of kids and crystal meth. Her most recent film, The Orchard, just completed a sweet festival run acquiring numerous awards including Best Director at Sydney International Film Festival. Ronan’s first film as cinematographer and editor was 2013’s Gods of Youth, which he produced with Kate Twa for Mutant Films. Since then, he has shot a number of short films and 2 additional feature-length films, including Zombie Punch and The Orchard. 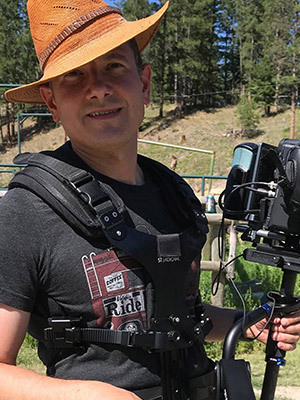 His work has screened at more than 20 international film festivals, including the Montreal World Film Festival, Vancouver International Film Festival, Las Vegas International Film Festival, Cayman Islands Film Festival, and the Manhattan Film Festival. He has contributed visual effects to films that have been broadcast across Canada, the United States, and internationally. As a commercial and entertainment lawyer, Ronan practices with the Vancouver law firm, Bell Alliance, where he plays an active role supporting the local film industry through provision of legal services. He also is a founding director of Mutant Films. Andrea is a locally born and raised resident of the South Okanagan. Her first introduction to acting and theatre came at the University of Calgary and later continued her studies at Company of Rogues. After graduating with a Bachelor of Arts degree she returned to the Okanagan and for the next seven years gained experience in the business sector. In 2013 a relocation to Vancouver allowed her and her husband to focus on growing their food business and a (then) start-up cycling company – Velofix. This also provided the opportunity to once again return to the discipline of acting by way of Kate Twa and Railtown Actors Studio. In 2017, Andrea launched Red Giant Theatre Society with fellow Railtown Alumns; Jordan Connor, Jake Croker, Sean Poague and Cameron Crosby. They have produced and performed a variety of works throughout Vancouver with a focus on affordable theatre. Andrea continues to expand her range of talent from the stage to the screen with experience in Commercials, TV including the Hallmark channel and Independent Indie Film "Florrie". This actor is thrilled to have her worlds collide by way of Tempest in her hometown. We have been overwhelmed by the amazing support and kindness of others in the local and international community. Thank you. If you are interested in participating in our events or supporting us further, please consider checking out the Support Us page and making a contribution.